On The Bonnet and Zipping Klemmer collided soon after the start. Zipping Klemmer and Hurricane Wayne collided soon after the start. On The Bonnet and Militant Mack collided approaching the first turn. Militant Mack, Zipping Klemmer and Hurricane Wayne collided on the first turn checking Militant Mack, Zipping Klemmer, Hurricane Wayne, Fernando's Flare and Mi Roma. Hurricane Wayne, Zipping Klemmer and Militant Mack collided approaching the home turn. Zipping Klemmer and Militant Mack collided entering the home straight and again several times in the home straight. Militant Mack was vetted following the event. It was reported that the greyhound sustained injuries to the right stopper/ankle, left metatrsal and suffered shin soreness in the right foreleg. A stand down period of 5 days was imposed. Miss Heart was slow to begin. Limburg Patrick and Staying In Paris collided soon after the start. Aston Ricardo, New Belief, Staying In Paris, Limburg Patrick and Knocker's Gold collided on the first turn checking Atomic Kitten, New Belief, Staying In Paris, Limburg Patrick and Miss Heart. Limburg Patrick and New Belief collided on the second turn. New Belief and Limburg Patrick collided approaching the home turn. Atomic Kitten and Fire Water collided entering the home straight causing Atomic Kitten to race wide. New Belief and Limburg Patrick collided in the home straight. New Belief was vetted following the event. It was reported that there was no apparent injury found. A sample was taken from Aston Ricardo, winner of the event. Specific was slow to begin. Fitz Tate and Borough Black collided on the first turn checking Borough Black. Kid Ringo, Merc and Kraken Pace collided on the second turn. Merc and Kid Ringo collided entering the home straight. Fitz Tate and Kraken Pace collided entering the home straight. A sample was taken from Fitz Tate, winner of the event. Sable Sass was quick to begin. Olfina Allen, Ziggy Punter, Eyes On You and Jimmy Got Style collided on the first turn checking Jimmy Got Style. Kulu Zipster and Sable Sass collided approaching the second turn. Ziggy Punter and Soda Kid collided on the second turn. Zipping Koda, Sable Sass and Eyes On You collided approaching the home turn and on the home turn. Bear Cabang and Texas Blaze were slow to begin. You Never Know raced wide to the first turn. Our Turbo Girl, Mr. Automatic, Heartbreak Hermy and You Never Know collided on the first turn checking Mr. Automatic, Heartbreak Hermy and You Never Know. Bear Cabang contacted the running rail approaching the home turn checking Texas Blaze and Mr. Automatic. Bear Cabang checked off Heartbreak Herm on the home turn and raced wide. Stewards spoke to Mr S.Melville, the trainer of Dyna Zaynabi regarding the length of time the greyhound has had between races. Dyna Zaynabi last raced on 11 January, 2018. Mr Melville stated that the greyhound was resuming racing after removal of a toe. Stewards spoke to Mr K.Kubik, the trainer of Belivet regarding the length of time the greyhound has had between races. Belivet last raced on 6 December, 2017. 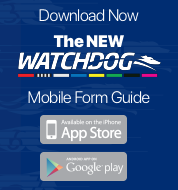 Mr Kubik stated that the greyhound was resuming racing after being seasonal. A pre-race sample was taken from I'm Electric. Iceni Outlaw and Dyna Zaynabi collided soon after the start checking Dyna Zaynabi. Dyna Zaynabi and Kununurra Heals collided approaching the first turn. Iceni Outlaw, Kununurra Heals and Cosmic Therapy collided approaching the first turn. Iceni Outlaw and Kununurra Heals collided on the first turn and approaching the home turn checking Iceni Outlaw. Belivet faltered on the home turn. Cosmic Therapy and Kununurra Heals raced wide in the home straight. Stewards spoke to Mr. K. Kubik, the trainer of the greyhound Belivet regarding the greyhounds racing manners on the home turn. Belivet was vetted following the event. It was reported that the greyhound sustained injuries to the right shoulder and left rear shin soreness, a 14 day stand down period was imposed. Acting under GAR 69(B)(1), the stewards charged Belivet with failing to pursue the lure with due commitment (by reason of injury). Mr. Kubik pleaded not guilty to the charge, Belivet was found guilty and stewards directed that the greyhound perform a Satisfactory Trial (all tracks) pursuant to GAR 69(B)(1)(a), before any future nomination will be accepted. 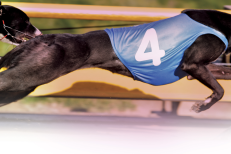 Satisfactory Trial Results - Kraken Rose trialled over the 425m from box 1, weight 28.4kg, the greyhound was placed 1st in a field of four starters. The time of the trial was 24.54, the greyhound was won by a margin of 3L. Kraken Rose was cleared. Re-Vetted Greyhound - Buddy's Entity was presented for a re-vet at the conclusion of kennelling and was Not Cleared to race.